After graduation she obtained a position as a private secretary to the vice president in a government run corporation. The daily operations of the Reconnaissance Lab and working on many documents the government awarded her a top secret clearance. Leaving the work force to start a family it became apparent the challenge was missed. Being interested only in finding something she could do working from home,” low and behold Film Permits Unlimited Inc was born. Film Permits Unlimited Inc was started around 1975, it was very challenging and most rewarding. Film Permits Unlimited Inc. has been on many advisory boards and received many awards throughout the years. Denise is very proud of the accomplishments and the success of the business. Film Permits Unlimited Inc. has grown into a very successful corporation. However, none of this is without the merits of her staff and their professional dedication to our clients. While John attended Marymount College in the mid 90's, he worked at his mother's company Film Permits, Inc. part time as a field coordinator. As the years progressed, John moved up the corporate ladder to senior film permit coordinator, the position he currently holds. John is no stranger to this business, because growing up as a child, he witnessed his mother Denise in action answering phones and processing permits in the living room. 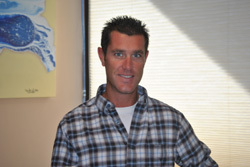 John also helped his father Bob obtain and deliver permits throughout Los Angeles. As the years progressed, so did Film Permits, Inc hiring additional family members to work in the office. John also started a company Silverlining Posting Service to help assist the industry with posting of no parking signs throughout the greater Los Angeles area. John enjoys the outside life of traveling to tropical destinations for his passion of scuba diving. When John is not scuba diving, he devotes his free time to his other passions, which is competitive running. He has participated in numerous races including half and full marathons. With John's strong drive and attention to details, you can be rest assured that when a permit is called into Film Permits, you will not have to worry about anything. 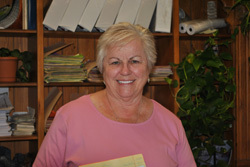 Cheryl Wheeler is the Office Manager/ Treasurer of Film Permits Unlimited, Inc. with responsibility for the accounting/bookkeeping duties, including accounts payable and receivable, as well as updating and organizing the office files and police coordination. Prior to Joining Film Permits Unlimited, Cheryl made the move from northern California down south to attend Marymount College, where she met her husband John. When not working hard at Film Permits Unlimited, Cheryl enjoys running and water activities such as boating and scuba diving and loves to traveling to warm tropical locations. Being Denise’s youngest niece, Jessica spent most of her childhood at Film Permits. As a teenager, she moved to Santa Clarita where she attended Canyon High School. Once she moved back to the San Fernando Valley, she “officially” joined the team, following her sister, mother, and the rest of her families footsteps. She has become a very valuable coordinator and as we say here “the student had become the professor”. 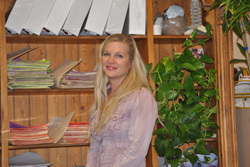 When she’s not in the office, Jessica spends most of her time doing almost any and all outdoor activities. Elvina was born in Russia and moved to United States as a child. After graduating Grant High School she took a long journey to Eastern Europe exploring sights while visiting family. Besides speaking English, she's fluent in Russian and Armenian. Her goal is to learn Spanish, French and Italian. Elvina joined Film Permits as a teen and is now considered to be part of the family. Starting out as a receptionist, she has progressed to become the office's right hand. On her free time, Elvina likes to read and watch movies. She loves fashion and is constantly shopping. Growing up in a big family with many friends, she is very social and is the chatter box of the office.